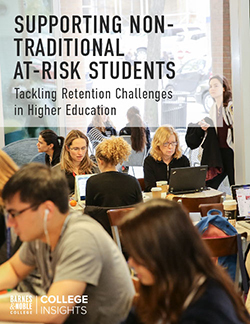 When the Aims Community College Bookstore came under Barnes & Noble College management, it replaced the status quo with new supplies, fresh merchandise, and flexible textbook options. One thing it held onto: Bookstore Manager Tara Dyer. Eight store managers came to assist with the transition, helping reorganize the store, receive product, and set up supplies. A messy shelf stocked with pens and pencils was streamlined neatly on the back wall. Supplies were organized and new merchandise was ordered. While a bookstore remodel six years earlier eliminated the need for a complete upgrade, the space was freshened up and redesigned for an improved customer experience. “It was a bit hectic, but with all of the help from the other store managers, we were ready to open in time,” recalled Oliver De La Cruz, a junior at Aims Community College and a bookseller who, having been with the bookstore for a year and a half, transitioned with Dyer and two other employees. “We helped out with inventory and bringing in some new shelving. We now carry a lot more books than we previously stocked,” he said. On the flip side, students can now find textbooks for rent at the bookstore. In the past, they had to rent online and wait for the book to be shipped to their home. “People like the in-store rental program because they can get their books immediately,” De La Cruz reported. “This way, they’re not behind in their classes because they’re waiting for their books to arrive.” Students also are finding their way into the store for convenience items, especially heat-and-eat meals such as soups and quick meals. “Ramen noodles are really popular,” he added. 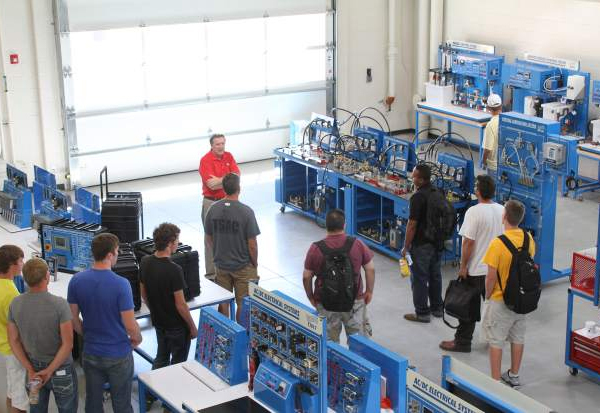 New students are given a lab orientation in the Aims Community College oil and gas program at the college’s Fort Lupton campus. 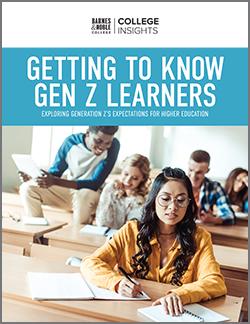 The two satellite campuses offer smaller, counter-service stores, where students can bring their schedules to the counter and have their textbook orders filled and picked up on the spot. And those books vary. The Fort Lupton campus offers general education courses toward an associate’s degree, as well as programs in the fields of nurse’s aide, agriculture business, agriculture production, oil and gas technologies, welding, animal science and carpentry. 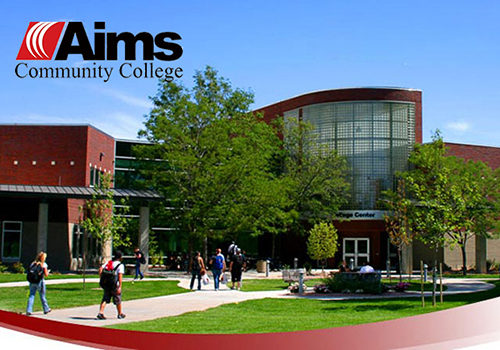 The Aims Loveland campus offers a variety of courses including state guaranteed transfer courses, personal enrichment and non-credit workshops. “We’re one of the only schools in the state that offers a helicopter pilot program,” Dyer said. With so many majors — including aviation, media studies, automotive technology, medical clinical assisting, fire science and radiologic technology — the bookstore team works tirelessly to accommodate all curriculum requirements, from art supplies for art and design students to blood pressure cuffs and stethoscopes for nursing students to special uniforms for EMS students. “Our fire science department requires a student uniform as well, so we carry the requisite shirts and fire academy pants,” Dyer said.